WordPress hosting on a blazing fast server. Tech support available at an hourly rate. The speed of a server that would normally cost you thousands. A peace of mind solution. This is a chart straight out of Google Webmaster Tools. It shows a site that was hosted on a very well known cloud platform. We were paying $150/month for this “service”. 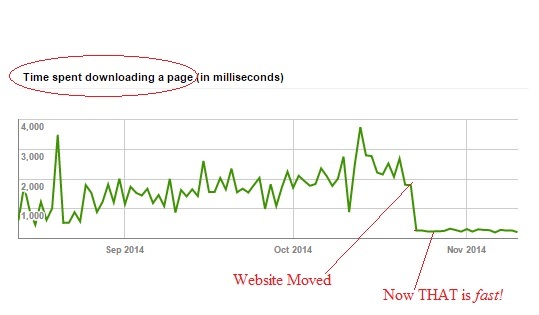 In October 2014 we moved this site to Telapost.net performance hosting. The chart speaks for itself. Page download times were slashed by 90%.